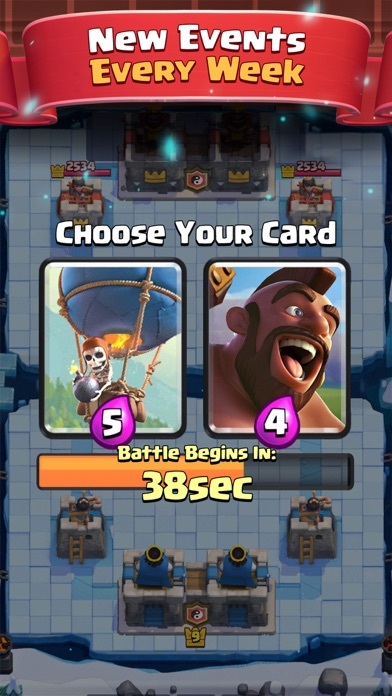 Incredibly unbalanced, broken targeting system for cards, heavily favors pay to win, matchmaking systems is incredibly unfair. Game is not worth the time or effort or money for that matter. Hi supercell when it comes to challenges I feel like you should lower down how many wins you get to get the item. And if not can you make us have unlimited losses to get the items. I have had enough of losing over and over and I bet other people are sick of losing every challenge. Please look at my review and take time to fix the challenges please. But overall the game is really good and one of the best in the world. I’ve been playing this for a long time, everything WAS a good and the game was very fun, until the new “Trophy Road” update arrived. 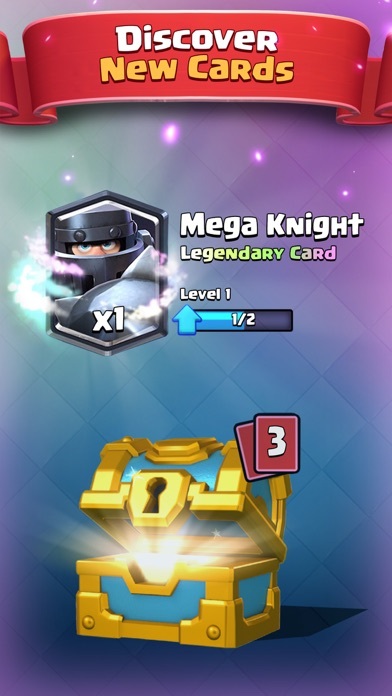 I was in arena 7, so there was ALOT of rewards for me to claim, the update seem cool cuz now you can get all common, rare, and epic cards in arenas with the system. Anyways, I was playing usual and kept winning a bunch of rewards, but then I started seeing people with different cards that I had never seen before. 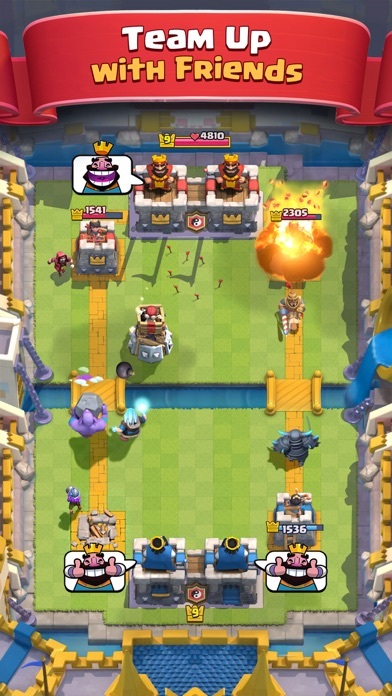 They were using ice cards and some kind of ghost king that my troops couldn’t even see. 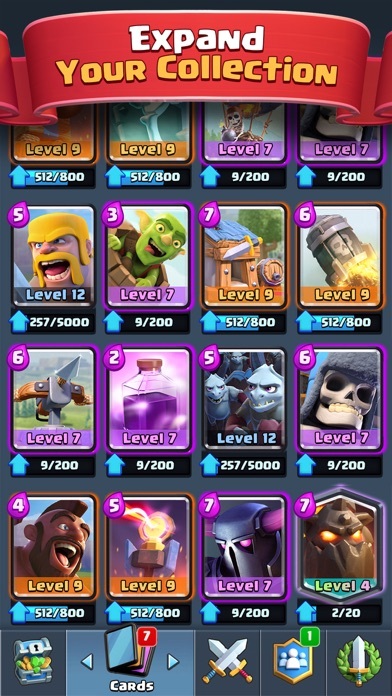 I was still in arena 7, because I kept losing and losing trophies. 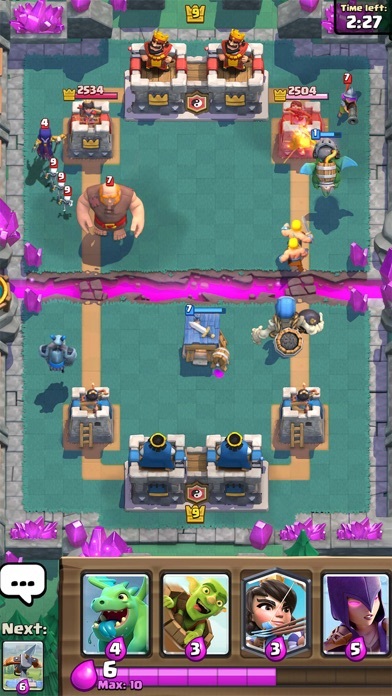 Supercell, if there is anyway you guys could fix this thing. People are using cards from higher arenas to WIN. I think all of this has to do with the trophy road update. This game will cut out for NO reason whatsoever, it’s pay to win, they make it to where you can get antagonized with their dumb emote system (Someone puts crying emoji and teases you for losing.) This is a game that is dying and should never be played.